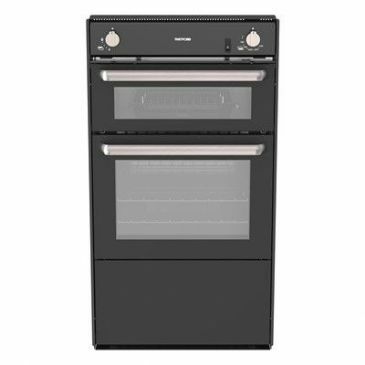 Following the trend to use space as efficiently as possible, Thetford developed the 525 Oven to perfectly match the standard 525 mm wide refrigerators. 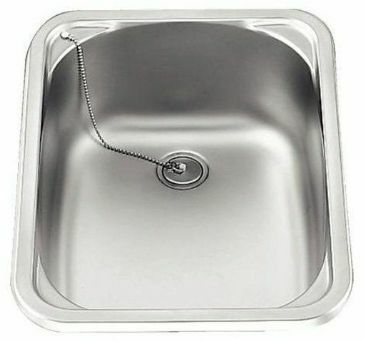 “We all know the under-utilised spot above the fridge. 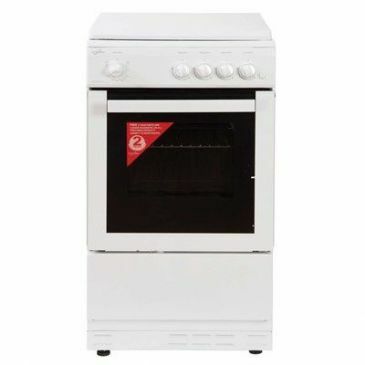 The 420 Oven proved the relevance of using this space. 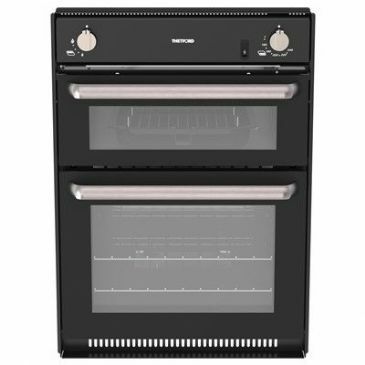 With the 525 Oven we complete our portfolio and give all situations, for both 420 and 525 wide refrigerators the possibility to turn this spot into a functional space” says Dirk Valder, Manager Product Management RV/ OEM International of Thetford. 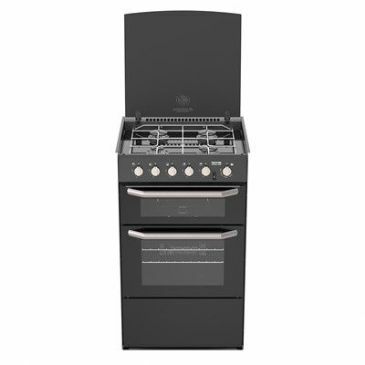 The 525 Oven has quite some interesting features like a smart fan system and removable fascia. 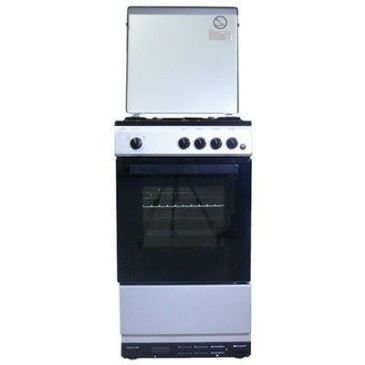 The 525 Oven can be installed as a stand-alone oven, but is designed to be installed on top of the 525 mm wide refrigerator. 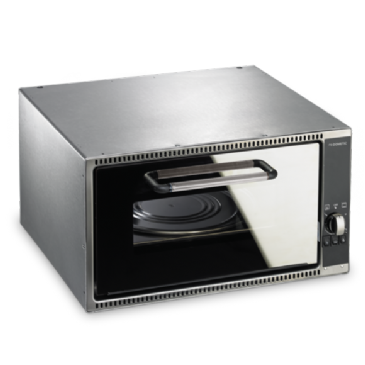 Therefore this oven is equipped with a new smart fan system to prevent overheating of the surrounding cabinet and ceiling in high level installations above the fridge. 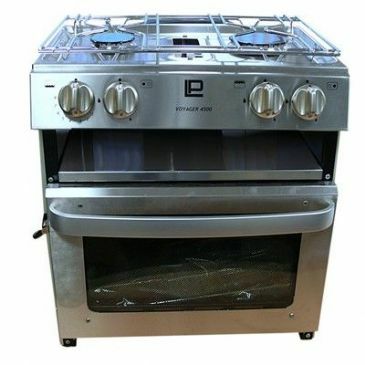 The twin fan cooling system channels the air above the oven keeping things cool outside the oven. 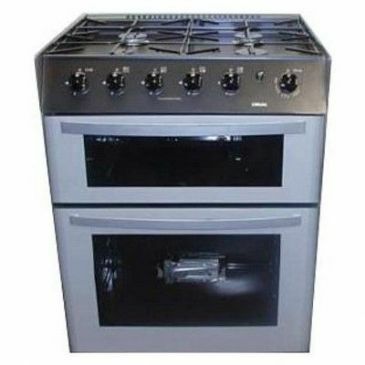 The fans automatically switch on once the oven reaches a certain temperature. 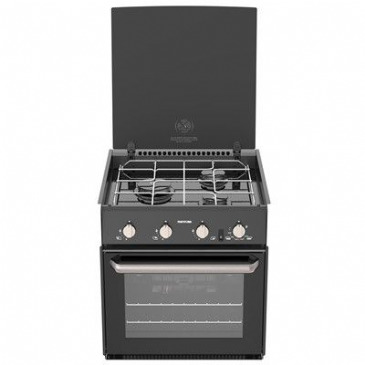 Built-in overheat switches on both grill and oven functions ensures double safe protection. 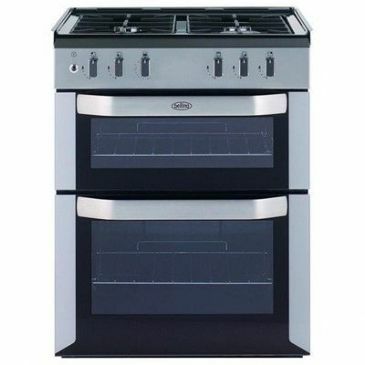 With a top-hinged door the 525 Oven’s door directly serves as a heat shield for hot air reaching the ceiling, and makes for much easier access to the food being cooked. When using the grill you keep the oven door open, the door serving as a heat shield. 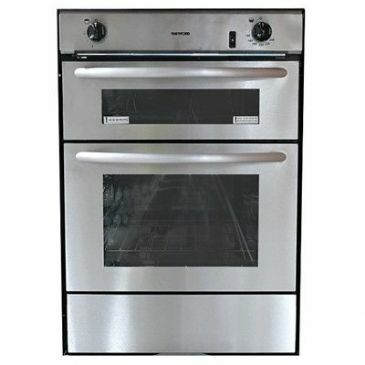 The 525 oven is an oven with grill, giving lots of cooking opportunities. 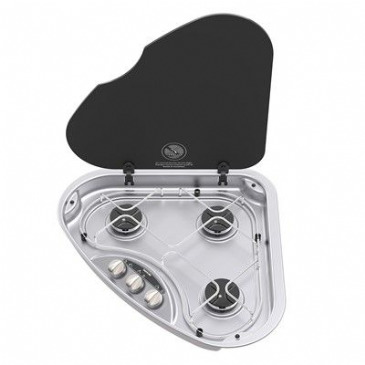 The inside cavity has rounded corners, facilitating easy cleaning. 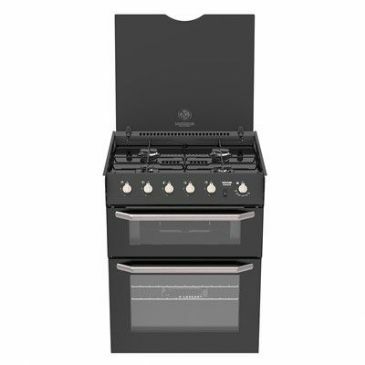 Having a full door seal and efficient burner design, the oven has an optimised temperature spread and fast pre-heating period. 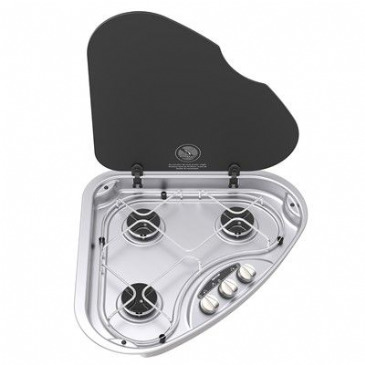 Of course, the oven shelf is provided with an anti-rattle solution to keep the noise from the oven as quiet as possible while driving your camper or caravan. Not only was consumer convenience and safety taken into account, but also the convenience for dealers and OEMs. 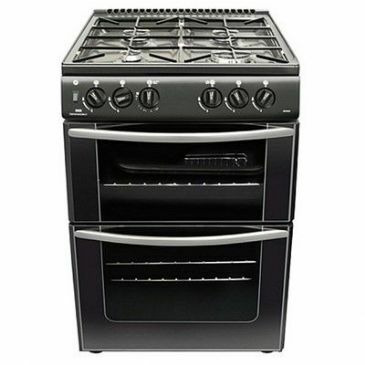 The 525 Oven can be installed either flush or protruding. 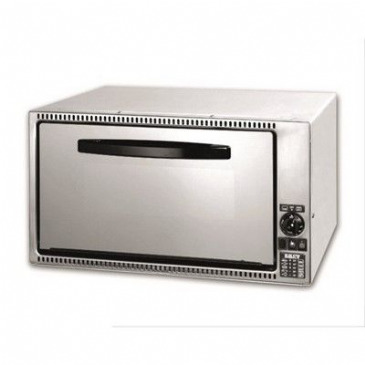 The 525 Oven can be positioned both above the 525 mm wide refrigerators and stand alone. 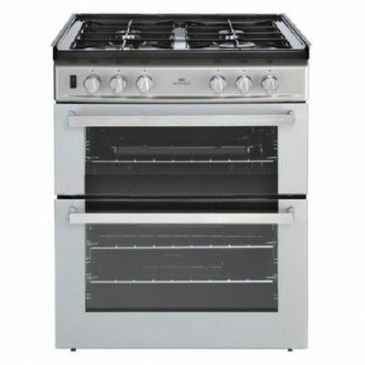 A unique feature of the 525 Oven, like the 420 Oven, is its serviceability. 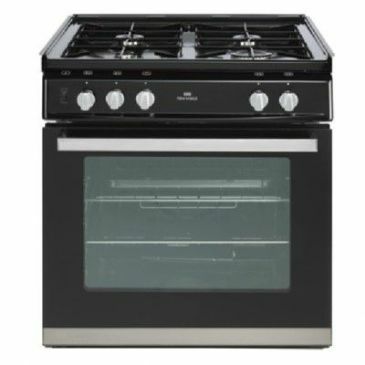 While the oven requires little servicing, should an issue occur the fascia can easily be removed to get access to the serviceable parts. 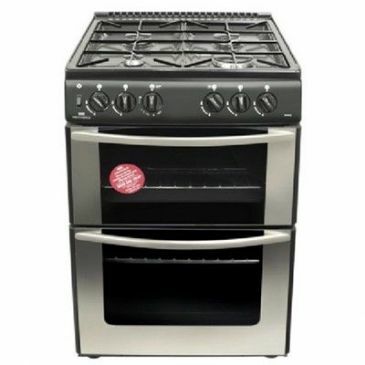 Please note this is the Oven only. The fridge is just shown for illustration purposes. Stainless Steel. 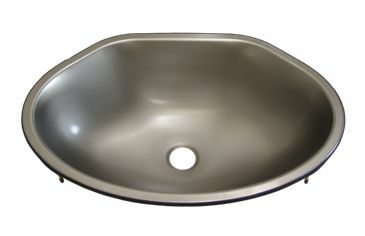 Inner diameter - 260mm. Outer diameter - 290mm. Depth - 120mm. 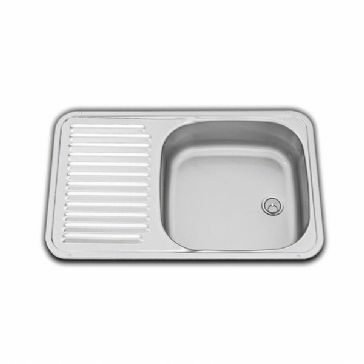 Complete with 25mm angled outlet sink waste. Please see related products below for 25mm waste hose. 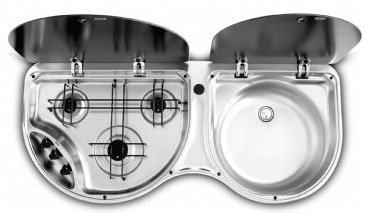 The Smev 909 2-burner built-in hob is just like you would have at home. 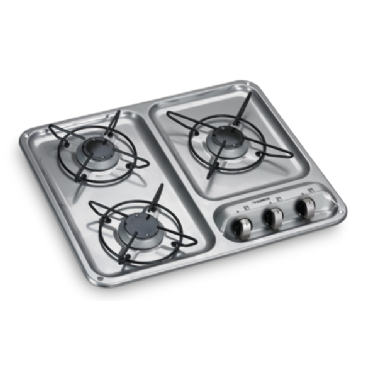 This reasonably priced compact hob has two cooking rings, ergonomic heat control with easy to use control knobs. 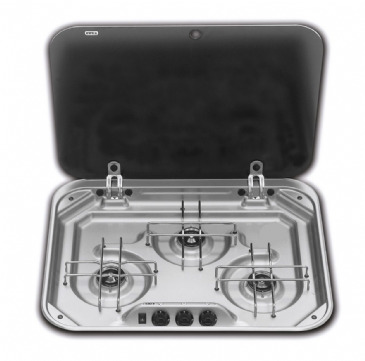 A simple two burner hob for your campervan conversion. 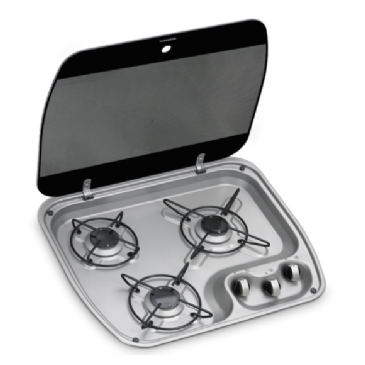 The 8800 series products can be installed in your motorhomes kitchen in an infinite number of combinations whatever the layout you have. 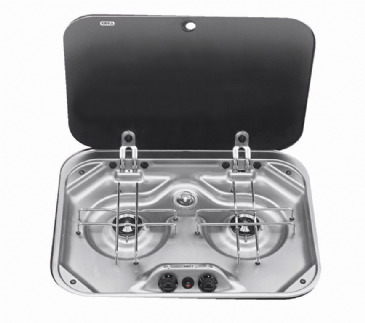 The Smev 8023 hob with glass lid is installed flush into the worktop. 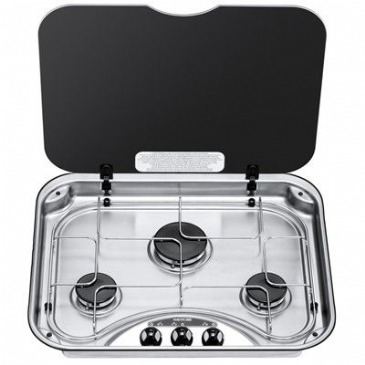 Constructed from robust stainless steel finished with a heat resistant Black glass lid, making this an elegant looking appliance for your campervan conversion. 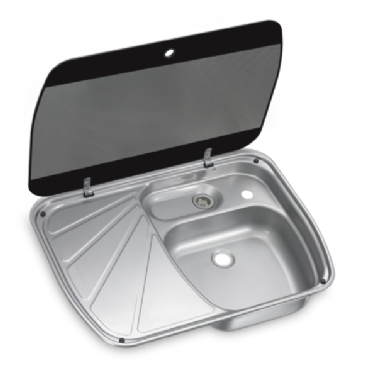 The Smev 930 Rectangular Sink is the ideal sink for fitting into those tight spaces in your caravan, campervan, motorhome or boat etc. 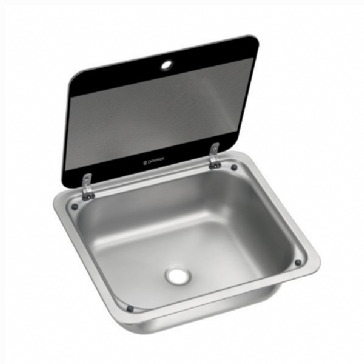 Made from robust stainless steel, built for lasting years! 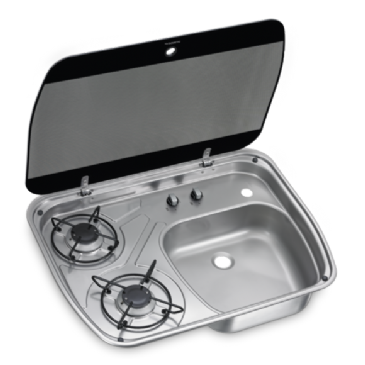 The Smev 934 Sink and Drainer is a straight forward simple combination for washing up in your campervan, motorhome, caravan or boat. 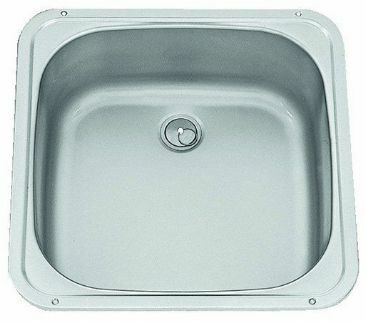 The Smev 934 is a high quality sink and drainer made from strong robust stainless steel which looks good and lasts for years. 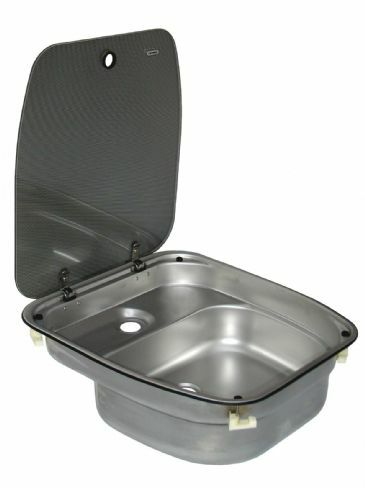 The Smev 936 Sink and Drainer is a straight forward simple combination for washing up in your campervan, motorhome, caravan or boat. 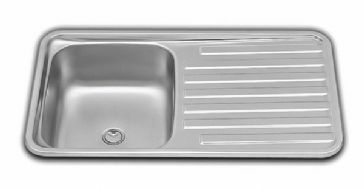 The Smev 936 is a high quality sink and drainer made from strong robust stainless steel which looks good and lasts for years. 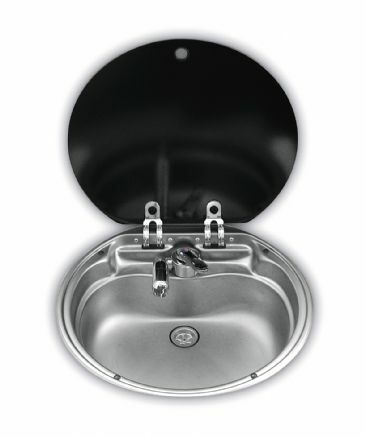 Smev 7306 stainless steel round sink with a Black glass lid for campervans, motorhomes, caravans and boats. 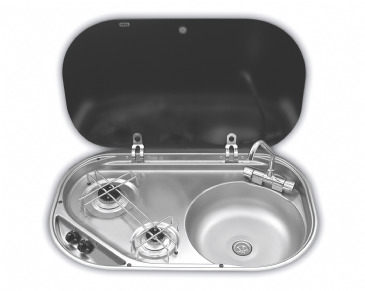 The Smev 8005 is a robust stainless steel sink finished with a stylish heat resistant Black glass lid. 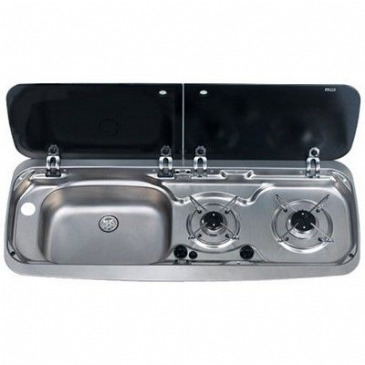 The Smev 8005 is the most popular sink within the Smev range due to its perfect size for fitting into your campervan, caravan or motorhome worktop. The Smev 910 Sink is a simple square shaped sink made from good quality robost stainless steel. 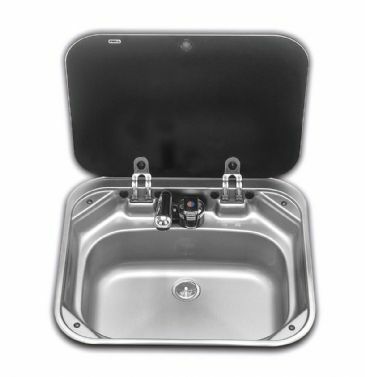 The Smev 910 is a straight forward sink solution that will easily fir into most applications - caravan, boat, campervan, motorhome or horsebox etc. 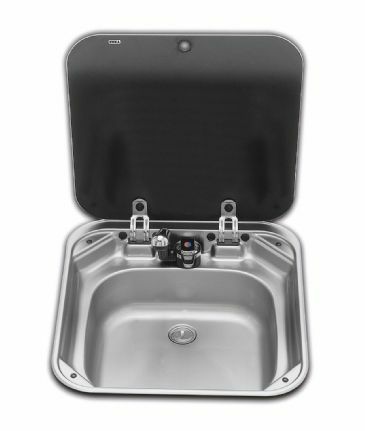 The Smev 932 Sink is an ideal size for most applications - campervan, caravan, horsebox or boat etc. 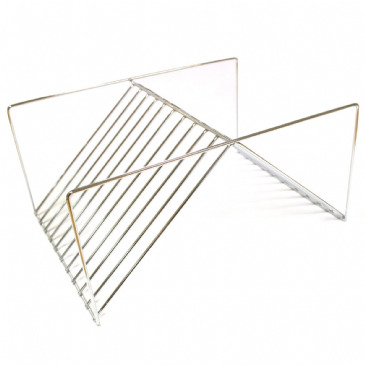 Made from robust stainless steel, giving it a strong lasting finish. 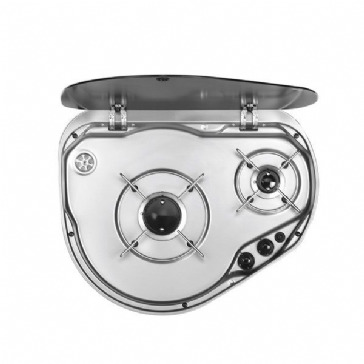 This square sink with heat-resistant safety glass lid provides the perfect kitchen solution. 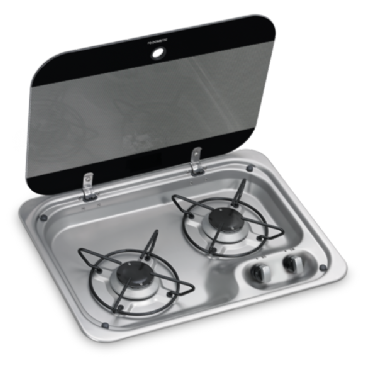 This sink and drainer combination also features a heat-resistant, glass lid which provides additional workspace when closed. 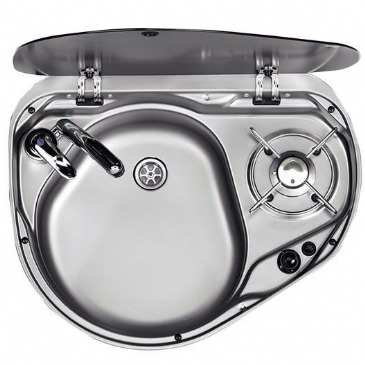 Thetford Series 33 Left Hand triangular bowl in stainless steel, with rear hinged black glass lid. Includes siphon waste. 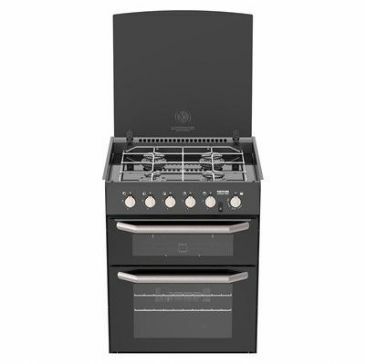 Thetford Series 33 right hand triangular bowl in stainless steel, with rear hinged black glass lid. 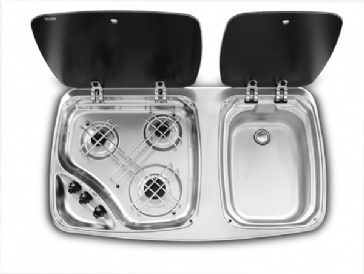 Includes siphon waste. 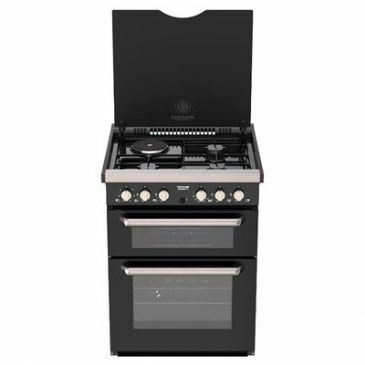 Thetford Series 330 recessed 3 burner 'Triangle' Left Hand hob, stainless. 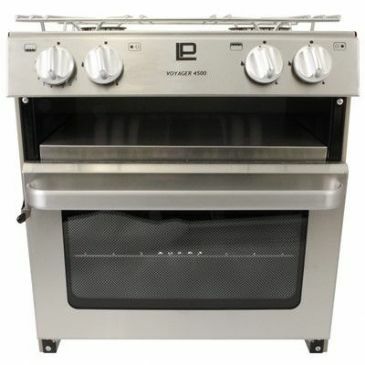 Includes 12V ignition, black glass lid, nickel burner knobs, and 3 x 1.5KW burners. 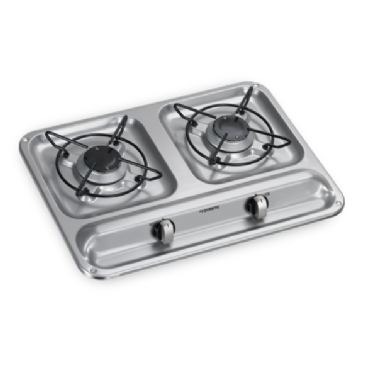 Thetford Series 330 triangular right hand hob in stainless steel, with rear hinged black glass lid. 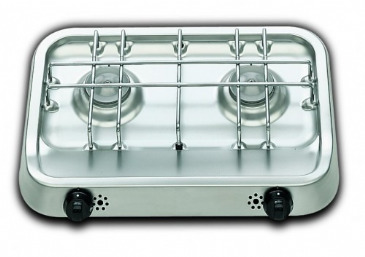 Includes 12V ignition, matt nickel burner control knobs and 3 x 1.5 KW burners.